Fortunately the craze of the scary clowns has seemed to die down (although I could insert a nod and reference to the current political climate but will refrain from jumping into that maelstrom). 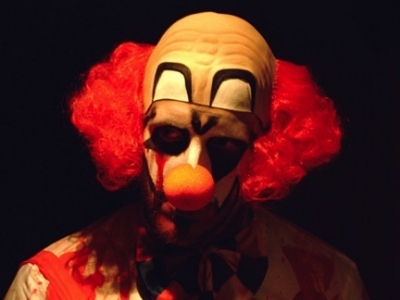 But the fright that the sensation brought with it had quite the impact causing major retailers, like Target, to refrain from selling clown costumes for Halloween. And, as it is the eve of All Hallows Saints, when things go bump in the night, it could be a good time to think about facing the scary and not-so-scary facts regarding your business and the technologies afforded to it. While it’s all too easy to get lost in the sauce with this new cutting edge software and that new app or this new CRM and that new automated system, there are, indeed, four key trends that really have shaped and continue to shape how business is getting done, regardless of the vertical. And these are the key trend items that are producing new business models, changing the way things are marketed and how businesses compete, enabling scale and building brands. Perhaps some of these items are a bit of restating the obvious, but for those not prepared, beware of things that go bump in the night! Here’s what those in the know are already investing in and utilizing to help scale their businesses. Even our mothers have smartphones and pepper their texts with emojis. We’re consistently connected and we buy, sell, order a car, a bottle of wine, housekeeping services and groceries with the touch of a finger (or in the case of online daters, with a swipe). If you haven’t taken steps to optimize how people connect with your business on their phone, then you better string some garlic around your neck, as the competition, just like Dracula, will be sucking your blood. Don’t just amass the data, but spend the time to determine what the data is telling you. What patterns have developed? What insights can you derive? And how fast can you take action? Be like the masked Superheros knocking on your door this evening and leap tall buildings in a single bound with your spry, nimble capabilities. Cloud computing is less expensive, it affords quick growth and it’s an ideal solution for companies to scale. We used to sing that children’s song to help understand connectivity. It’s right on the mark as the Internet of Things (IoT) has just enabled a driverless truck to cart a load of beer for Anheuser Busch this weekend. Home automation enables us to be off premise and warm up the house, make the coffee, hell, make dinner, turn on the lights, the sprinkler and the washer and dryer. As the lyric goes, “dem bones, dem bones, shake dem skelton bones.” How are you preparing your business and innovating for future transactions. Be afraid, be very afraid if you’re not thinking about these technologies to help your business move forward. There’s no treat in being tricked that you’re prepared. So binge eat on chocolate this evening but tomorrow think about technologies that can get you further faster.